Iodine has been considered the “universal medicine”. It was frequently prescribed by medical doctors in the 1800s to mid 1900’s. When pharmaceuticals began to crowd out natural remedies for common diseases the methods used were slowly lost. This is a crime against humanity! Iodine offered healing that was virtually adverse reaction free. Common uses for iodine included respiratory issues, skin issues such as lesions and tumors, thyroid goiter and nodules, ovarian cysts, uterine abnormalities and even dental issues. 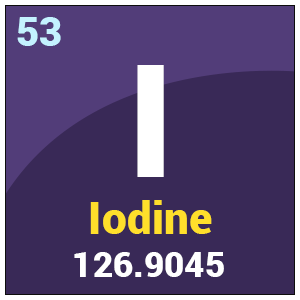 I have spent the last 11 years researching the powerful uses of iodine and am constantly amazed by what I find. I hope to be offering this information in a consolidated venue soon. Stay tuned. Iodine Properties: Antimicrobial, Antiparasitic, Antibacterial, Anticancer, Antiviral and Antifungal. How many milligrams are in specific % solutions? For more detailed information please download the Guide to Supplementing.